The only way to become a truly digital organization is to empower your loan officers to be at the forefront of transformation. If users don’t adapt to and adopt new technology, nobody wins. Success depends on your ability to understand your loan officers so well you can anticipate their needs and exceed their expectations. Remember: When your loan officers and their teams leverage your corporate tech stack, they’re actually signaling they trust you. With their book of business. So, what do loan officers really want? More time in their life so they can grow their business and spend more time with their family or on their favorite adventure. And more money – for obvious reasons. Everything else is simply a bi-product of understanding those two pain points. Done right, technology augments the human capacity for greatness. When it comes time to choose a sales and marketing tech stack for your loan officers, these five considerations will alleviate their constraints around time and money and increase your likelihood of digital success. Being a loan officer is never dull. And it’s only one misstep from being downright chaotic. From chasing down documents to following up with a new co-marketing partner or lead, loan officers have a constant need to know what they need to do next to keep deals moving into and through the pipeline. The more their tech stack streamlines their day-to-day tasks, the more time they have to create high-quality, high-touch experiences in person. In the same vein, your loan officers need to know what has already been done so they know at a glance how business is shaping up for the month – and what they still need to do to hit their numbers. They want to know what processors, LOAs, real estate agents and borrowers are doing with files or how they are engaging with marketing campaigns in order to make more informed decisions to bolster relationships and close deals. Data autonomy gives your loan officers the power to maintain control over their data. This means having the flexibility to store, access and manage it with the click of a button. Loan officers need to be able to leverage their data to drive actions without the delay or inaccuracy of human intervention. In our digital-centric world, it’s more important than ever to empower our loan officers with data so they can deliver consistent, constant communication to their co-marketing partners and prospects alike. Whether their leads are mid-nurture, in process or post-closing, loan officers want technology that will help them keep everyone on the same page. Loan officers are on the front lines trying to stand out in their communities day in and day out. Personal branding within the enterprise isn’t just a box to check off on a requirements list. To your loan officers, it’s everything. At the corporate level, you must support their personal brand to empower them to distinguish themselves in the local community. The reality is that a buyer is more likely to choose a loan officer they know and trust. In addition to an uptick in business, big companies bolster consumer trust when they tap into the personal brands of their top producers. The key to making personal branding work within the enterprise is to have the systems and controls in place to maintain quality and integrity at a corporate level while simultaneously giving loan officers the freedom to align their personal brands alongside the corporate one. Your loan officers care about one thing and one thing only: leads. But not just any leads. They want a steady stream of leads – new, qualified leads – filtering into their pipeline. It stands to reason the more contacts a loan officer has, the greater the likelihood one of them will be ready to transact at any given time. Skilled salespeople – relationship managers – know timing is everything. Unfortunately, most loan officers spend a large chunk of their days digging through long lists of leads, trying to figure out who to contact next. Any tool that not only surfaces the hottest leads for them at login but also automates routine communications so that the right message gets delivered to the right person at the right time will make heads turn (not to mention make adoption rates skyrocket). Bottom line? Technology can free your loan officers from the minutia that keep them from growing their books of business, so they can listen to their borrowers and their financial needs to coach them, setting them up for financial success. Technology can put them out in front of customers, so they can establish deeper, more meaningful connections that last a lifetime. But only if your loan officers find enough value in their tech stack to start leveraging it in the first place. 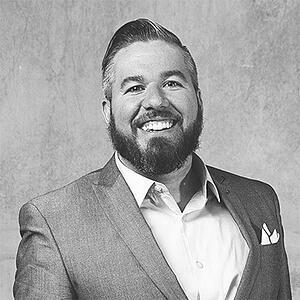 Trey Rigdon is the Director of Digital Experience at Movement Mortgage, one of the nation’s 10 largest retail mortgage lenders. Trey leads the Marketing Technology and Digital Experience teams as they innovate the digital experience for the loan officer, real estate agent and borrower.